In honor of our 80th Anniversary celebration throughout 2016, the National Wildlife Federation is recognizing each of our Affiliate Partners in a special “Affiliate of the Week” blog series that showcases the dedicated conservation efforts taking place across the country each day. This week we celebrate our affiliate, Tennessee Wildlife Federation, and their commitment to wildlife. The Tennessee Wildlife Federation is one of the oldest and largest conservation organizations in Tennessee. Created in 1946, the Federation has a long history of connecting people to the outdoors through youth engagement, stewardship, and public policy efforts. 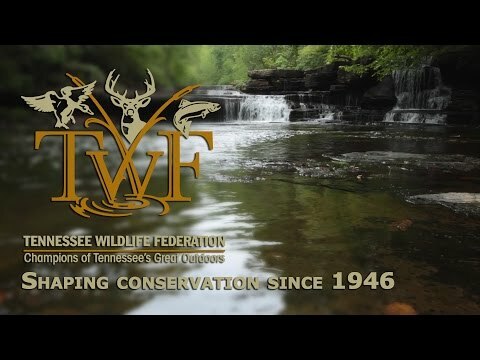 Throughout its 70 year heritage, TWF has done significant work in the area of public policy on behalf of Tennessee’s outdoors enthusiasts, wildlife, and wildlife habitat. These efforts focus on supporting federal public lands and informing federal policy makers and the public as to the facts surrounding our federal public land estate, the benefits it provides, and the shortsightedness of those wishing to dispose of these lands. Several of the Federation’s programs have made national headlines or have been modeled in other states. For example, TNSCTP is quickly becoming the “gold standard” in scholastic shooting programs in the U.S. Hunters for the Hungry has been featured in local and national media and continues to display the charitable spirit of the hunting community. Significant policy efforts related to captive deer farming, the Land and Water Conservation Fund, and public lands support via the Antiquities and Wilderness acts have played a part in the national conservation dialogue. TWF supports national initiatives on improving management and access on national forests and other public lands, including work to reauthorize and fully fund the Land and Water Conservation Fund as well as protect the Antiquities and Wilderness acts. The Federation accomplishes its work only through the support of those who share a love for Tennessee’s wildlife, amazing natural resources, and opportunities to interact with the great outdoors. They invite you to visit their website at www.tnwf.org, browse through the program pages and videos, and sign up to receive their monthly e-newsletter in your inbox. Connect with the Tennessee Wildlife Federation to get their latest news and keep up with their conservation efforts through Facebook, Twitter, Instagram, YouTube, or by visiting their website.